Stanley Choi has won the HK$2,000,000 ($257,854 USD) buy-in 2012 High Stakes Challenge, capturing the $6,465,560 first-place prize, the 10th biggest top prize in the history of tournament poker. 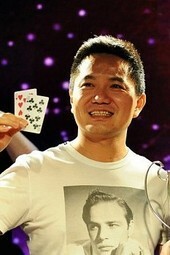 In addition to the money, Choi also earned 840 Card Player Player of the Year points. A total of 73 players turned out to the StarWorld Hotel’s Poker King Club to post the massive buy-in, with 21 players exercising their option to make a single re-buy. As a result of this incredible turnout, the final prize pool in this event swelled to $23,511,128 USD. Super high roller events have grown in popularity in recent years, but this was by far the largest of its kind outside of the $1,000,000 buy-in Big One for One Drop at the 2012 World Series of Poker. There have been two previous $250,000 buy-in events, both held at the Aussie Millions tournament series, but neither featured a re-buy or drew as many players as this event. Choi’s $6.4 million score was the largest ever outside of the aforementioned Big One for One Drop and the past eight WSOP $10,000 main events. As you would expect, the biggest names in high stakes poker from around the world turned out for this event. Notables who played but failed to make the money include Tom “Durrrr” Dwan, Erik Seidel, Andrew Robl, Gus Hansen and Igor Kurganov. Recognizable names who cashed include J.P. Kelly (12th – $587,778), Di “Urindanger” Dang (11th – $587,778), Philipp Gruissem (10th – $587,778), Alan Sass (9th – $705,360), Phil Ivey (8th – $822,941), Sam Trickett ($999,184) and John Juanda (5th – $1,645,753). 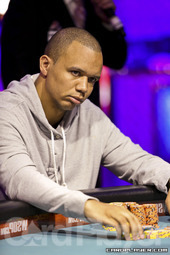 For his eighth-place finish Phil Ivey earned 140 Player of the Year points, moving him into 8th place in the overall rankings. This was Ivey’s seventh final table finish of 2012, with his lone win of the year coming in the 2012 Aussie Millions $250,000 Challenge in January. Ivey now has year-to-date earnings of $3,546,334. Seventh-place finisher Sam Trickett continued his incredible run of success in ultra-high buy-in events with his $999,184 cash in this event. Trickett finished runner-up in the $1,000,000 buy-in Big One for One Drop for $10,112,001 this summer, and in 2011 won a $100,000 buy-in at the Aussie Millions for $1,525,000 and followed that up with a second-place finish only days later in the first-ever $250,000 buy-in, also at the Aussie Millions, earning $1,493,736 in prize money. Trickett now sits second on the all-time live tournament earnings list with $17,418,275. Ivey is right behind him with $17,134,556. Winner photo courtesy of Poker Portal Asia and Poker Ace.